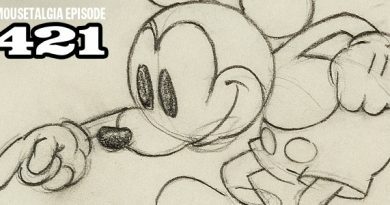 Dip into the mailbag with Mousetalgia! This week’s topics: kids and the Disneyland resort hotels and restaurants; “must eats” at the resort; affordable car rentals; east coast castmembers vs. west coast castmembers; seeking out Mary Blair artwork; making special birthday memories at the park for seasoned Disneyland “pros”; Club 33 membership questions; our favorite Disney publications and books, both hard to find and easily available; and cardboard DVD/Blu-ray sleeves – keep ’em or toss ’em? Plus – Disney Debit vs. Disney Visa cards – weighing the merits of each, New Balance’s new Disney running shoes, “Seen, Un-seen Disneyland,” Disney’s Nine Old Men flip books – and more!